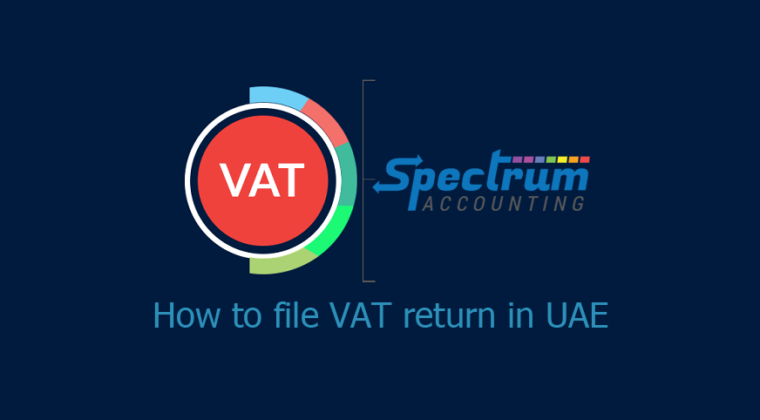 Under UAE VAT, the first VAT return is due on 28th Feb, 2018, which will be filed by those businesses for whom the monthly VAT return is applicable. The businesses are required to file VAT Return online using the Federal Tax Authority (FTA) portal. The FTA portal is designed to accept the returns only through online mode as offline capabilities to file VAT return through XML, EXCEL or any other utility are currently not available. This implies that the taxpayer is required to manually provide the values of Sales, Purchase, Output VAT, Inputand Input VAT etc. in the appropriate boxes of the VAT return form available in FTA portal. ‘VAT’->VAT 201- VAT Return->click on ‘VAT 201-New VAT Return’ to initiate the VAT return filing process. In the above section, details such as the “TRN” or “Tax Registration Number” of the taxpayer, as well as their name and address will be captured. These details will be auto-populated. In the above section, you need to furnish the details of purchases or expenses on which you have paid VAT at a standard rate of 5% and supplies subject to reverse charge basis along with the eligible recoverable input tax.